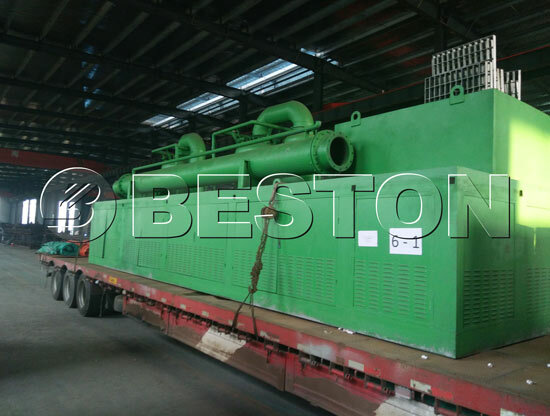 Beston charcoal making machine is designed to carbonize all kinds of biomass raw materials(sawdust,coconut shell,wood, rice husk and so on), waste sludge, municipal solid waste. 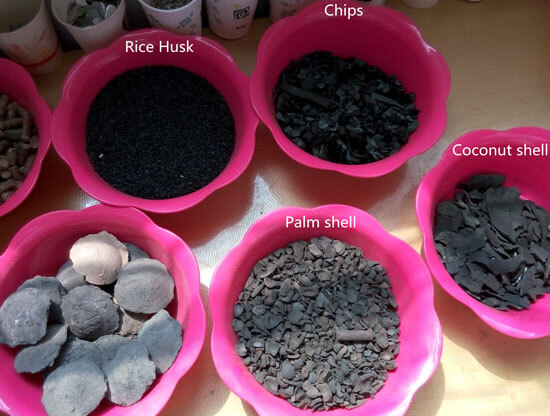 In general, the purpose of carbonizing biomass is to get biomass charcoal; And we carbonize waste sludge is to get sludge carbon; while carbonizing the municipal solid waste is mainly to reduce the amount of garbage. Our charcoal making machine adopts the design of double layer and multi passage. It is mainly composed of drier, carbonization machine and other auxiliary equipment. Among these parts, there are other parts like driving, rack, drying, flash steaming, carbonizing, feeding, discharging, cooling, exhaust gas recycling, wet dust catcher, gasification furnace and related pipes. 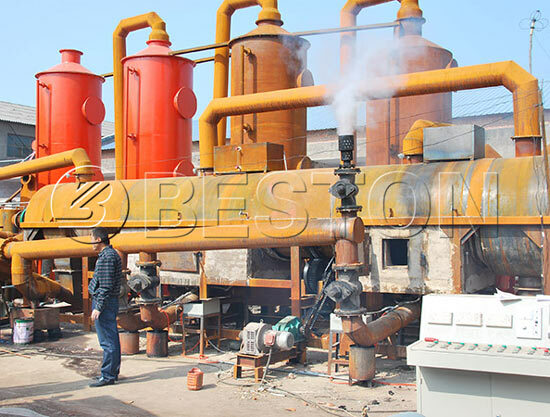 charcoal manufacturing machine is over 85%. 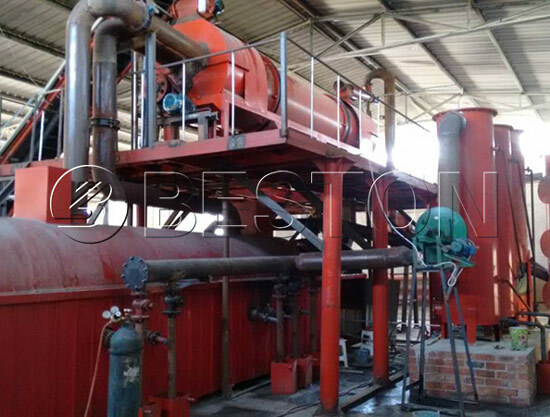 The upper part of charcoal manufacturing machine adopts edge driving and center screening double drive and step-less speed change structure. The structure can compulsorily change the materials into fine powder in the flash steaming and drying chamber, so the materials can fully contact the hot air, and the controllable rotating speed enable us to control the contacting time of materials and hot air. Then we can get material with the same humidity although their initial humidity is different. 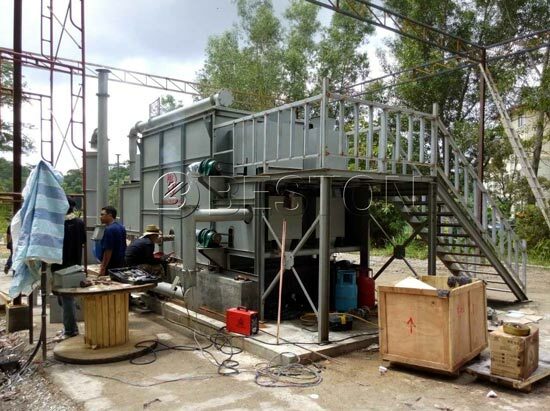 After drying, the material will automatically flow into the charcoal machine in the lower part. The upper part of the machine is for drying material and the lower part is for carbonizing the materials. 1. Central control can be designed according to the customer’s request, which can separate the operator and machine.